Want to make a difference in people’s lives? 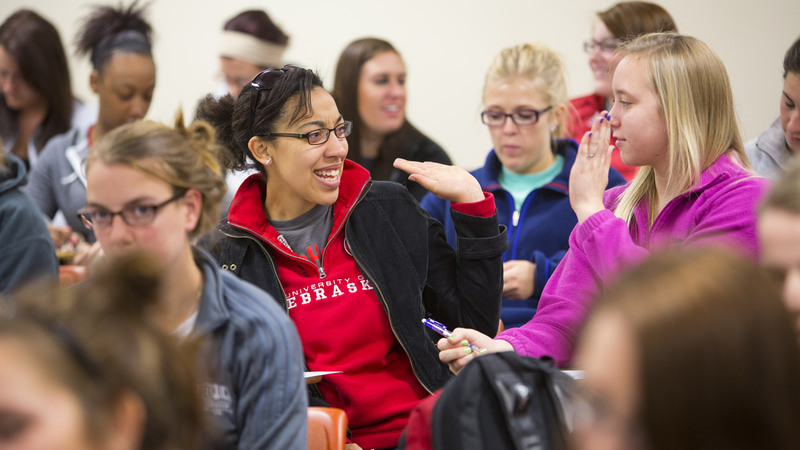 Start with your own transformation through a program in Education and Human Sciences at NEBRASKA. You’ll get a degree respected worldwide and the advantage of Big Ten connections. Bring your skills to life through our hands-on programs and expert faculty who will get to know you personally. You'll also have opportunities right here in Lincoln and across the globe to engage in internships, practicums and study abroad. Check out the video below to see how internships in Lincoln are helping our students get real world experience. Financial support is available for eligible CEHS students at all levels. Awards are determined by matching eligible students with scholarship criteria, which may include: Area of Major or Specialization, Class Standing, Financial Need, etc. Incoming freshmen: complete the UNL Application for Admission by January 15. It’s also useful to submit the Free Application for Federal Student Aid (FAFSA) because it covers financial need information. Lincoln is growing - in entertainment and career opportunities. Our city was ranked 6th best for business and careers by Forbes, and students find a variety of internships and part-time work that connects to careers. If you have any questions about visiting campus, applying or just want to talk to someone about programs in CEHS, I'd love to chat with you. Please call me or shoot me an email.